Renowned action choreographer Yuen Wo-ping (The Forbidden Kingdom, Kill Bill) is directing a martial arts biopic, True Legend, starring Chiu Man-cheuk, Taiwanese pop singer Jay Chou, Michelle Yeoh and Chinese actors Zhou Xun and Guo Xiaodong. Edko (Beijing) Management and Consulting Ltd, the Beijing-based subsidiary of Hong Kong-based Edko Films, has announced that it is co-producing the film with Shanghai Film Group and Beijing New Times Film Culture and Development. Yuen directed the 1978 martial arts action title Drunken Fist, which propelled Jackie Chan from being a virtual unknown to an action star. However, Yuen has not directed a film for the past 12 years, during which time he has been known as an action director, with credits including the Matrix film series and the two Kill Bill films. Set in the Qing Dynasty, True Legend tells the story of So Chan, a wealthy man obsessed with kung-fu, who fell from grace to become a beggar after he and his family became the victims of conspiracies. He later transformed himself into a martial arts master, patriot and folk hero, honoured as the "King of Beggars". The same story has been previously adapted into several films and TV dramas including Yuen's 1993 film So Hat-yi and Gordon Chan's 1992 King Of Beggars, starring Stephen Chow. Chiu (Once Upon A Time In China 4, The Legend Of Fong Sai-Yuk) will portray the master So Chan, while Jay Chou will play a master who inspired So during his time of frustration. 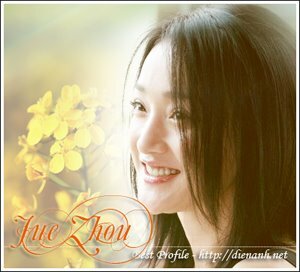 Zhou Xun will play So's wife and Chinese actor Guo Xiaodong will play So's opponent. Michelle Yeoh's character is yet to be announced, according to Yuen at a press conference in Beijing. The film started shooting last month in Huang Shan of Anhui Province and Beijing. The release date is set for mid-2009.